Books. You can’t escape them, and in this poll-poser’s opinion, that’s a fantastic state of affairs! That said, it can be surprising to realize just how prevalent books seem to be in the universe of Star Trek. 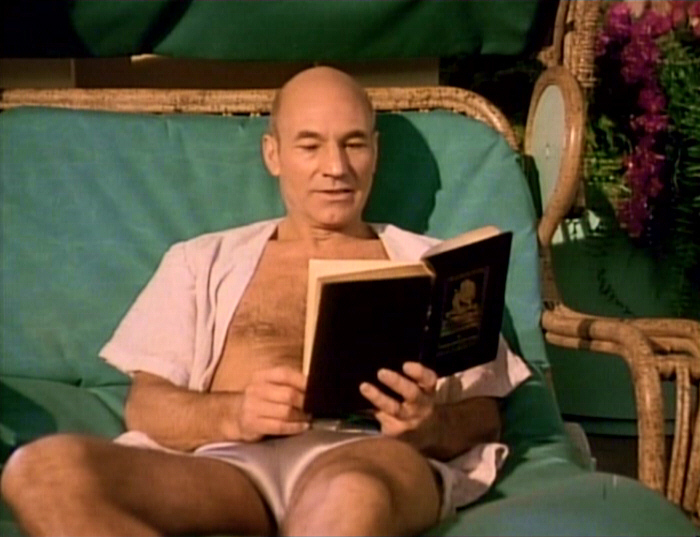 Picard obviously took great pride and joy in his substantial collection of literature, and we have witnessed a variety of other characters reading classic novels, Shakespearean works, and other leisure texts. Fiction, in some form or fashion, is an indelible part of our lives, and the same goes for the characters we write for. This week’s poll asks you to share your character’s favorite type of story or book. Is your character more drawn to action and adventure, or maybe they’re more fond of romantic or dramatic works? Perhaps they share an appreciation for tales or legends from their own cultural heritage. Or do they not enjoy any sort of fiction whatsoever? Give us your vote, and if you’re feeling brave, let us know the specific story or book, and explain what significance it has for your character in the comments section!